JEREMY DAN FISH (1974) Albany, NY. Lives and works in San Francisco. Well known for his unique presence and aesthetic contributions in North Beach aka Little Italy, Jeremy Fish is a prolific illustrator, product designer and fine artist based in San Francisco for the last 21 years. His artwork is mainly about storytelling and communication, told through a library of characters and symbols with an emphasis on finding a balance of imagery somewhere between all things cute and creepy. 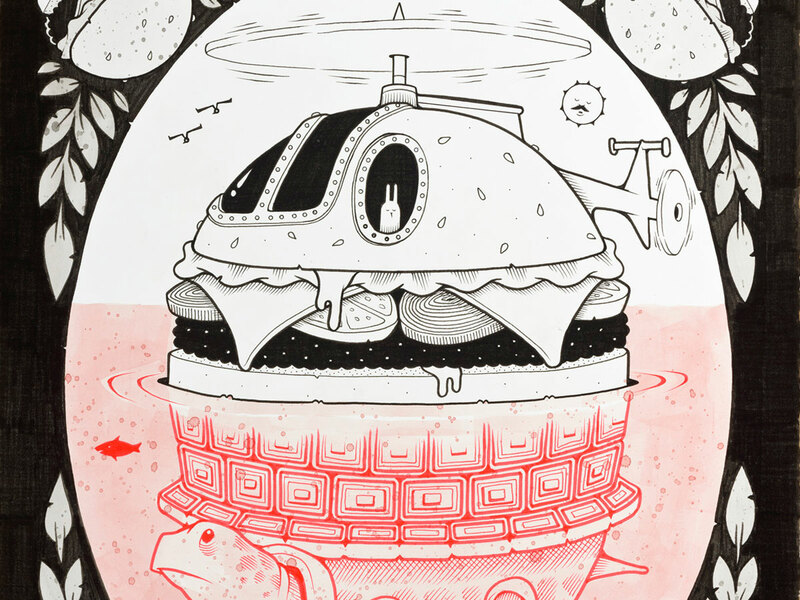 Recognized for his original style and clever characters, Jeremy Fish continues to exhibit new works in contemporary galleries and museums world wide. Fish is currently the first ever Artist in Residence at San Francisco City hall, working on a project celebrating City Hall’s 100th birthday. Between his most recent solo shows: in 2015 O.Glorious.City, San Francisco City Hall, San Francisco, CA, Anger Management, Blackbook Gallery Denver, Colorado. In 2014 Yesterdays and tomorrows FFDG San Francisco, CA, Hunting Trophies, Mark Moore Gallery, Los Angeles. In 2012 Prom King Class of 1992, Spring Street Gallery Saratoga Springs, New York, Wild Kingdom, Rotofugi Gallery, Chicago, Illinois, Where Hearts Get Left, FIFTY24SF, San Francisco, CA.